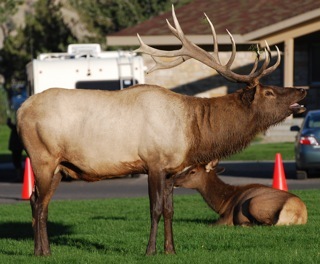 Although Yellowstone's infamous and beloved Number 6 is sadly absent from the scene this year--the result of his tragic death--the annual elk rut continues full swing in Mammoth Hot Springs this fall. 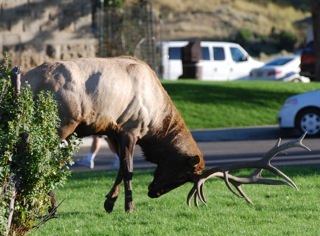 Bull elk bugle loudly and tussle over females, while park visitors watch from a safe distance. Below are some photos and video highlighting the elk activities of this past week.